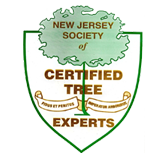 New Jersey’s First Name in Tree and Plant Care. 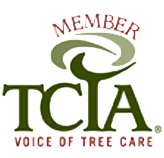 We’ve been providing outstanding tree care services to the community for more than 15 years. 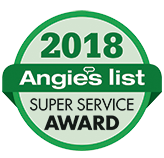 Our reputation for professionalism begins with the first phone call to our friendly customer service personnel and extends to our attention to every detail on the job. Sometimes a tree just has to be removed. It might be a safety issue or the need to clear space for construction, a landscaping project, or to get more sun on your yard or pool. While nature usually does a good job on its own, sometimes a little help is needed to get things just right. Such is the case with landscaping. Trees and shrubs benefit from regular pruning. Once a tree is removed, the stump is left behind. In most cases, you'll want to grind the stump eight to twelve inches below ground level to allow for the planting of grass, shrubs, or a new tree. Trees are an integral part of any landscape but they don't live alone. With roots extending 50 feet or more , they compete with shrubs and grass for the same nutrients and water. At Rich Tree Service we truly believe that an ounce of prevention is worth a pound of cure. Case in point—Many trees that fall and cause damage do so without any warning signs at all. Rich Tree Service takes pride in its commercial services. We know that you need your grounds to be both attractive and completely safe for staff and the public. At Rich Tree Service we're committed to providing you with the best professional tree care service at prices that make us the top value in the business. Call us today at 908-941-0063 and discover why Rich Tree Service is the only name you'll need to know. We're sure that once you compare our rates and what we can offer, you'll choose Rich Tree Service for all of your tree care requirements. And remember, written price quotes are always free. 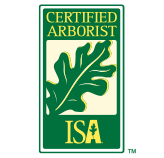 Rich Tree Service adheres to industry standards for quality and safety. We hire only well trained, professional staff, and practice the highest business ethics. We invite you to explore our website and to call us at 908-941-0063 with any questions or concerns you may have.